When I first discovered this drink, I was working at Microsoft programming the user interface for Avatar Kinect, and Microsoft internally calls the Kinect user interface “NUI” which stands for “Natural User Interface.” Of course, the idea of a drink called Nui Nui appealed to me, but I didn’t have any allspice dram, and finding it in Washington has been difficult. 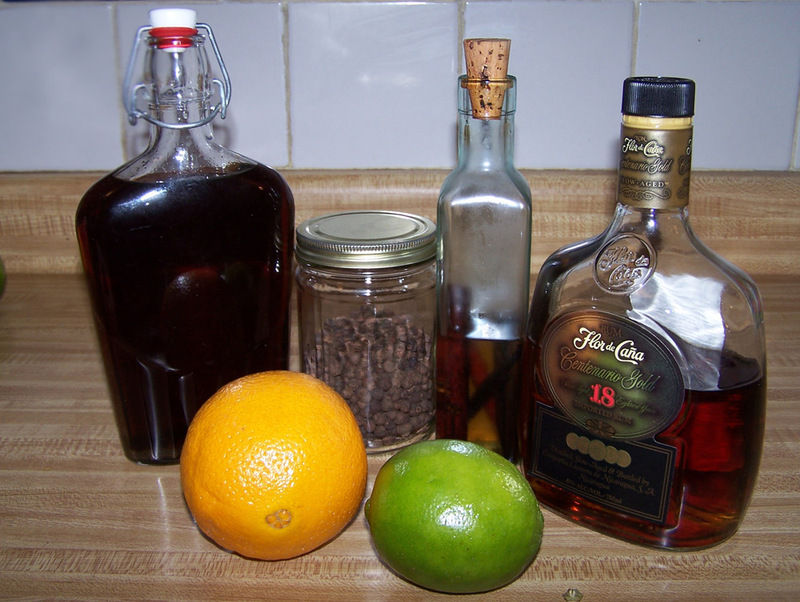 It took me a while to get around to it, but I followed Imbibe Magazine’s recipe for Allspice Dram. 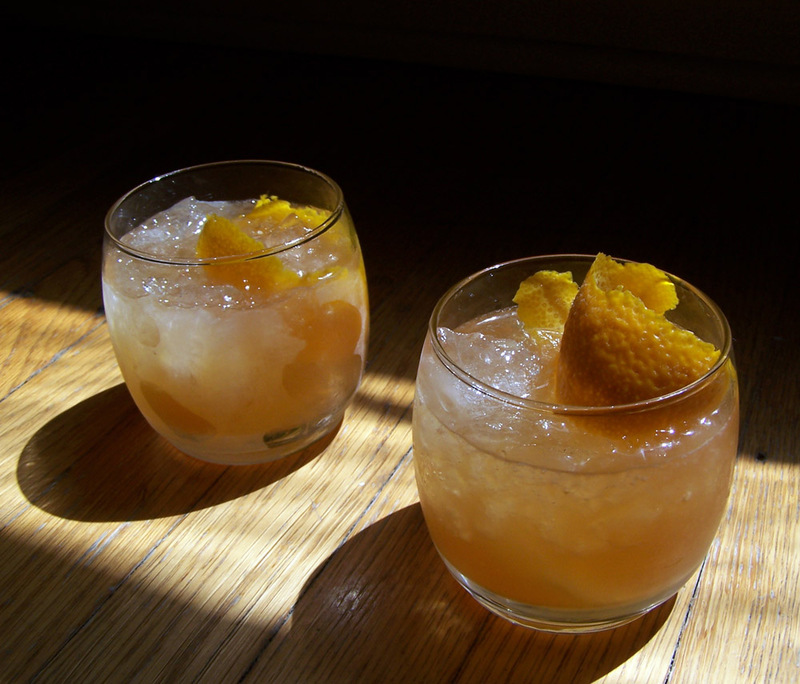 The recipe is very easy, and costs less than half of what it would take to buy a bottle of allspice dram. Some recipes call for cinnamon or other spices in addition to the allspice, but my philosophy is that if I want other flavors in my drink, I will add them explicitly. I’d rather have a strong allspice tincture and a strong cinnamon tincture, which I can mix at drink-time, because that maximizes my flexibility. Shake with crushed ice and pour it all into the glass. Garnish with a long orange peel. The difference between ‘up’ and ‘crushed ice’ for this drink is amazing! The additional dilution from the crushed ice makes the drink much colder, and as you drink it, there is the sensation of the texture of cold plain water intermixed with the more viscous texture of the drink. Surprisingly, the intensity of the flavor does not suffer from this preparation, as long as you drink it before the ice gets scared. I folded my orange peels into a rose shape after I expressed the oils on top of the drink. A cinnamon stick, cut to be slightly taller than the glass, positioned like a straw, would not be amiss here either. Why not use both? Categories: infusions, tiki | Tags: allspice, allspice dram, cinnamon, dark rum, flor de cana, lime, orange, pimento dram, vanilla, vanilla cinnamon syrup | Permalink.